The Blog of Jared Kirk: What does it mean to be "born again"? When you hear the words "born again," what comes to mind? For evangelical Christians in the South, those words carry the connotation of conviction, commitment, and experiential religious praxis. For many secular people those same words carry the connotation of over-zealous, intolerant, unbalanced, perhaps even dangerous. 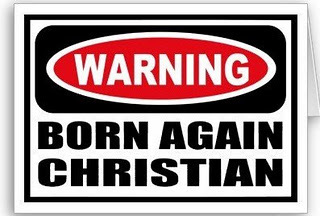 If you will excuse the colloquialism, I think the general vibe secular people get is that people who claim the label "born again" have gone off the deep end and have over-done religious commitment. But what does that phrase actually mean? When we read the words "born again" in that passage we tend to assign to them the meaning that we already understand them to have, but when John wrote those words I can assure you they hadn't inherited the layers of meaning from 20th Century evangelicalism yet. The Jews lived in a traditional culture where your identity was assigned to you by your family lineage, your genealogy. Your identity was a reflection of your family. This is incredibly difficult for Modern and Post-Modern Westerners to understand. We tend to have fractured identities that we create for ourselves largely by the consumer choices we make and the careers we choose. You want proof? Ask someone who they are. They will usually respond with A) what they do for a living and B) and what they like to do (which reflects their consumer choices). So when Jesus tells Nicodemus (the "him" in the text) that he must be born again, this time "of the Spirit." He is saying that he must re-orient his entire identity from familial lineage to the Spirit of God. Or put it in more modern terms: Nicodemus as a "ruler of the Jews" is basing his self-image upon the purity of his racial lineage and is basing his standing with God upon the same thing. Jesus is calling him to a completely new basis for his identity. What is it that makes you, you? Your job, the brands you buy, the person you love, or the person that loves you? Is is your hobbies, your pride in the superiority of your race or particular tribe, or the things you own? Jesus is saying that to "see the Kingdom of God" you must learn to forsake the created things you have gained your identity from and learn instead to gain your identity from the Creator himself. And this will definitely feel like death and birth. To be "born again" is not to have one particular type of religious experience. It is to be the same person, only now with a radically different basis for your identity. And while this passage doesn't explain it, the rest of the book of John goes on to claim that the only safe place to gain your identity and sense of self-worth is in the sacrificial love of the God who made you. God has proved your infinite worth to him by dying for your sins upon the cross.